I wanted to test the Fujinon 18mm F2.0 lens and see how it would stack up to the Zeiss 18mm F4.0. The Zeiss 18mm F4.0 has a large following and is very poplar with the Rangefinder crowd. How will to perform on the Fuji X-Pro1 and an APS-C 1.5x crop body? Let’s take a look. For this set up, I used ISO 100 in full daylight, I shot the Fujinon 18mm at: F2.0, F2.8, F4.0, F5.6, F8.0, F11, F16, F22 and then the Zeiss 18mm at: F4, F5.6, F8.0, F11, F16, F22. For each shot I took a 100% crop from the top edge, the center, and the bottom edge, then I used Adobe Photoshop to place these three crops on a row next to each other. I did this for every F-Stop and placed them in one column. 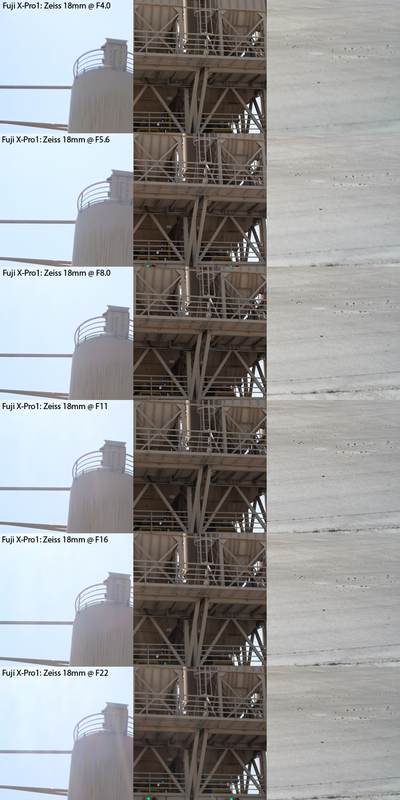 I did it this way so you can judge the edge to edge sharpness of each F-Stop and as you go down the column you can see how the sharpness changes as you increase the F-Stop. I know, It’s hard to follow, even for me! I’m rather impressed at the way both these lenses deal with flare. The test shot was facing directly into the sun and both the images deal with the potential for flare rather well. The Zeiss at F22 shows only some minor flare in the upper left of the frame. Some interesting observations: The Zeiss is naturally a little warmer tone then the Fujinon. I’m guessing it has to do with the coating on the lens. The Fujinon is more neutral. The edge to edge sharpness compared to each other are about equal. The Fujinon wins in terms of weight. Zeiss wins in build quality. Fujinon wins with a wider range of aperture. After tallying all the wins, who comes out on top? For me the Fujinon is the winner! I give it a High Value to Cost Ratio. At $600.00 USD retail, it is not inexpensive but, compared to others that are out there, it is reasonably priced. For your money you get a lightweight and fast aperture lens that deals well with flare, has minimal distortion, and is reasonably sharp edge to edge. The newer optics are really well made for this APS-C 1.5x crop sensor. That being said, the Zeiss is a great lens with amazing optics. If you had one for film or are an enthusiast that appreciates manual focus then this lens, along with the Fuji X-Pro1 is a winning combination. This lens formula may not have been made specifically for the APS-C 1.5 crop sensor but it still performs very well. For the modern photographer or enthusiast on a budget the Fujinon 18mm F2.0 is the way to go. Happy Image Making!! As per your 35 test, the Zeiss’ have a noticably higher resolution, even at full aperture. The 18 fuji shows some heavy CA at f2.8 as well. Thanks Jim, I agree with you! 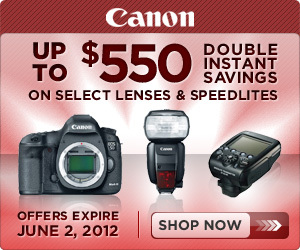 Buying good glass will “Future Proof” your lens purchase!